Models available with spring loaded versions with a price difference. Available from 50mm to 900mm stroke lengths with excellant linearity. We are one of the celebrated manufacturers and exporters of a wide range of Electrical Panels. 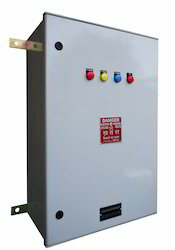 Manufactured using fiber-reinforced plastic, the proffered selection comprises of line contactor, soft starter module and switchgear protection for the motor. Made available in different specifications, these electrical panels are applauded for energy-efficiency and reduced mechanical & electrical stress. We have succesully completed the total design and commissioning of the Katraj Ghat Tunnel Ventilation and Control System during the Year 2005. 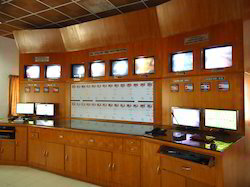 Integration of the Systems includes Tunnel Lighting, Ventilation, Ambience Monitoring, CCTV, P.A System, SOS call stations etc as required by the Client. We are among the celebrated names of the business to engage in manufacturing and supplying Communication Devices Tools that are made available in a varied series of specifications. Known for their efficient performance, longer service life and rugged construction, these devices & tools are massively acclaimed in the business. Clients can avail these at reasonable costs. We are a leader in manufacturing and exporting of Fiber Converter. 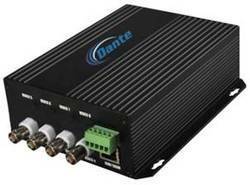 We are considered a trustworthy name in the business that brings forth Video Amplifiers with solid-state circuitry. 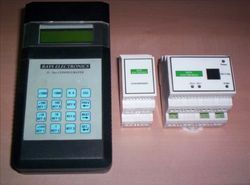 Offered series can be used with coaxitron control systems. Desktop or rack mounted, the proposed assemblage is manufactured in compliance with the predefined industry standards. 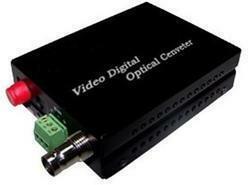 Offered range allows a video signal to be filtered and then, displayed with a higher resolution. 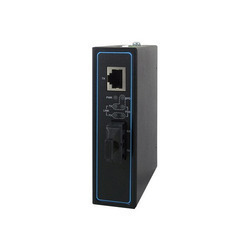 We have 2models , one model support upto 300mtr and comes with the isolation from the input. Extebded version supports upto 900mtr. 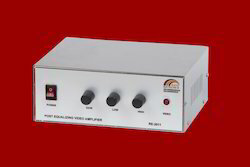 We, Rays Electronics, established our operations in the year 2000, as one of the trustworthy manufacturers, exporters, suppliers and importers of a broad assemblage of Power Transducers & Control Panel and Custom made devices. Our product series comprises of Automation Transducers, Control Panel, PLC Panels, VFD Panels etc that are made available in different specifications to cater to the diversified requirements of our esteemed customers, across the globe. In addition to the same, we are involved in proffering Erection, Repair and Maintenance Services, which are carried out by a team of experienced service engineers. We have updated our knowledge with efficinet team of Engineers with more than 20 yrs of experience for our execution of the Projects. With the help of advance technology, we are able to achieve exact quality demanded. Modern Road Makers P Ltd. (Subsidiary of IRB), Bajaj Electricals Ltd and C Doctor & Co P Ltd, L & T Infra, Siemens, KMC Constructions Ltd, GR Infra Projects Ltd, Reliance Infra Ltd, Northern Railway, Central Railway & Konkan Railway Etc are some of the esteemed customers that we have gained in past years. We have executed the projects in J&K, Himachal Pradesh, Kerala, Maharashtra and Rajasthan etc .. Our proficient team work is the success behind the execution of the Projects All Over India. We also design Custom made Electronic devices , Integration of hardware and softwares is our focuss and expertise.